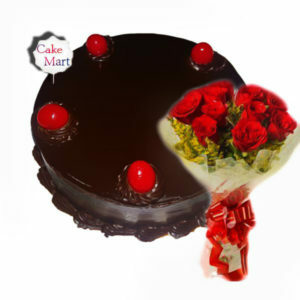 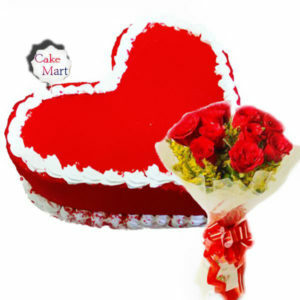 Cake and roses makes the perfect combination to impress anyone on any given day. 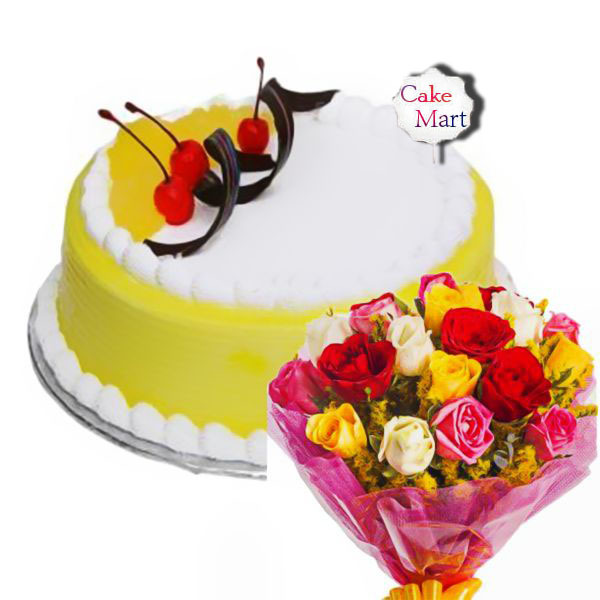 Carnival combo includes a vanilla cake and bunch of mixed roses. 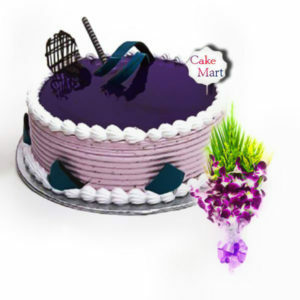 This creamy textured cake goes well in any party. 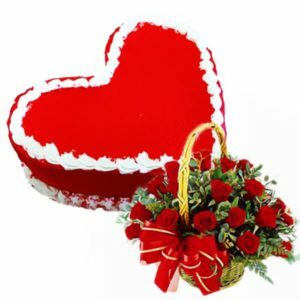 The bunch of roses symbolizes mixture of all emotions like love, friendship and admiration.